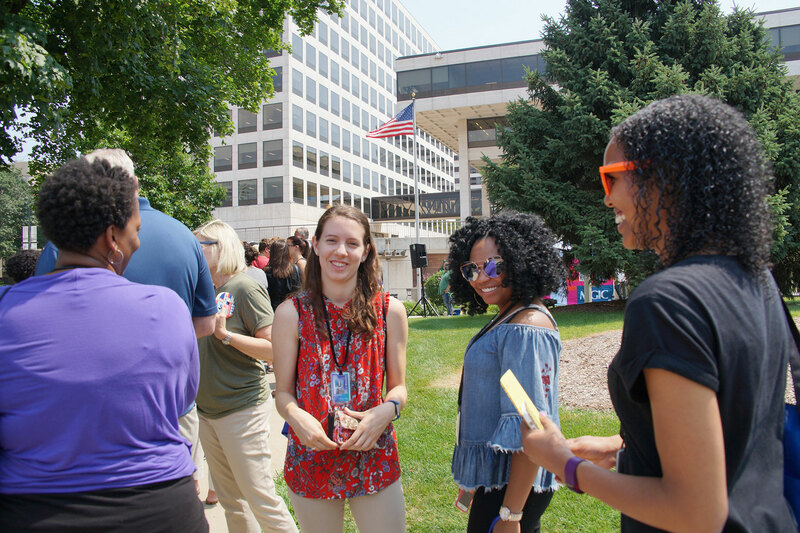 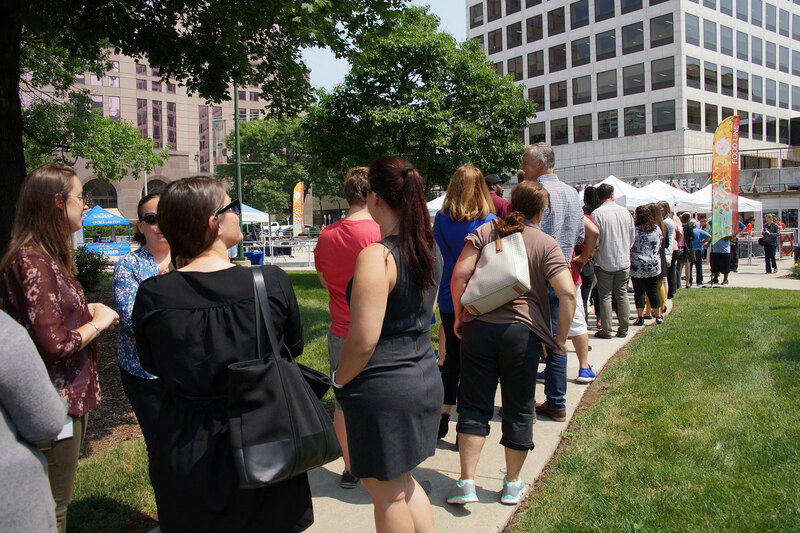 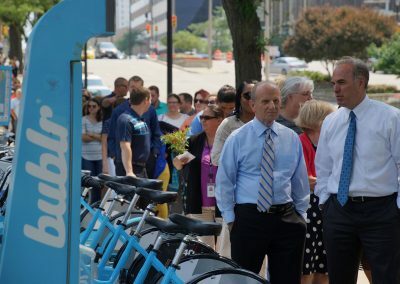 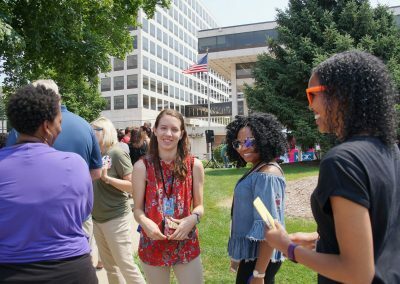 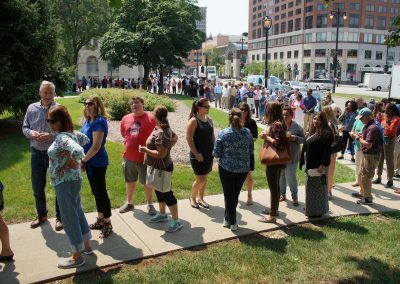 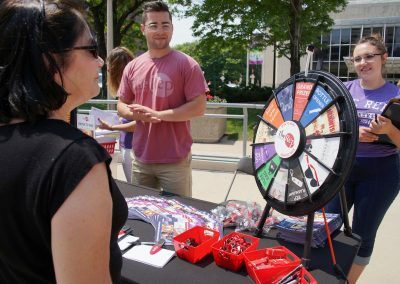 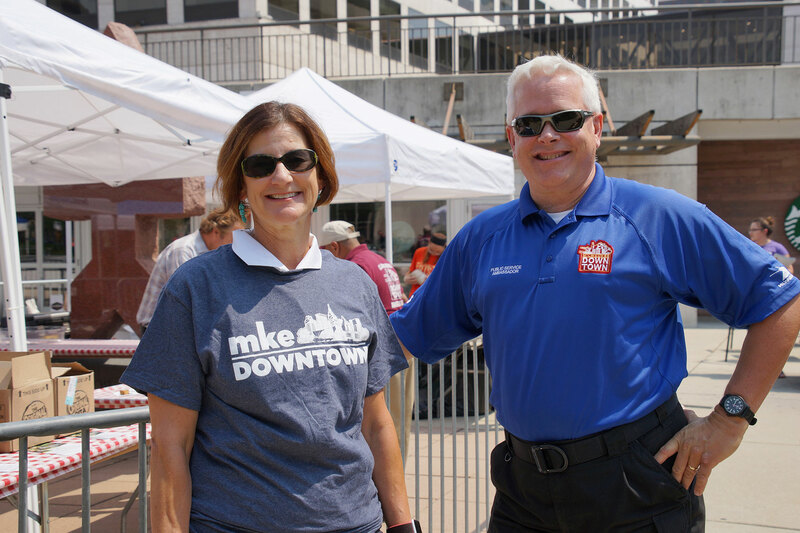 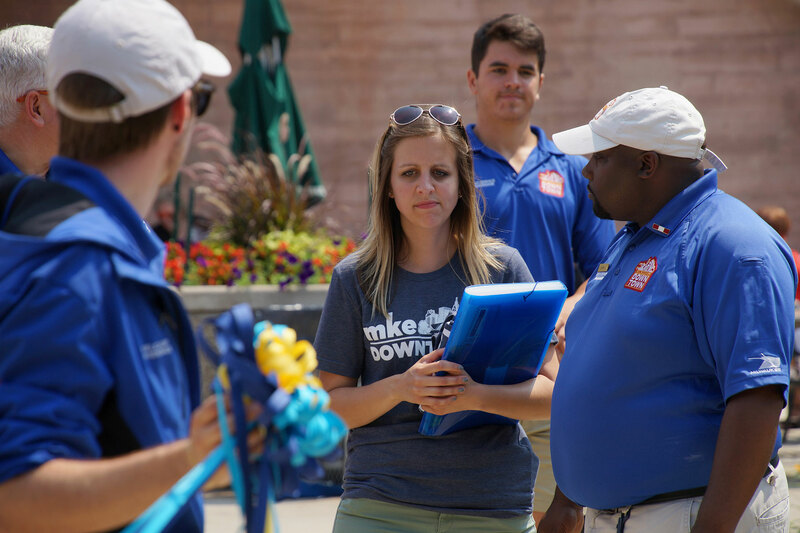 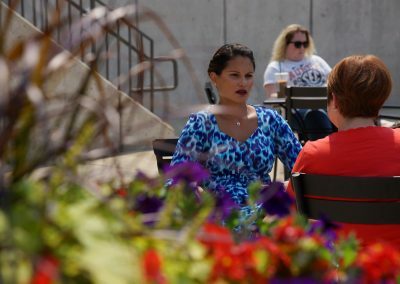 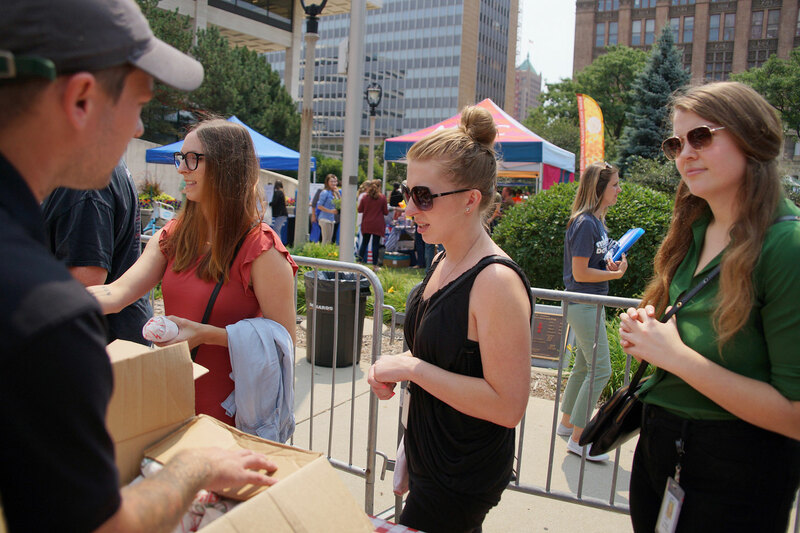 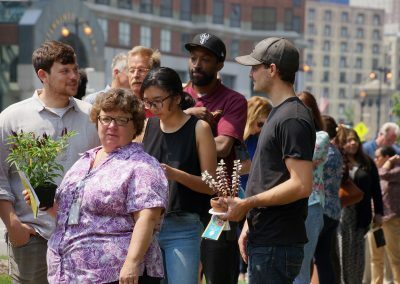 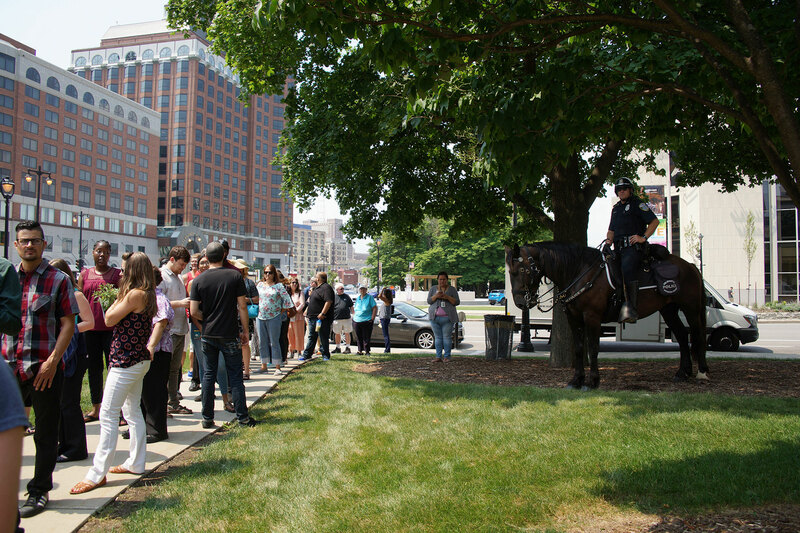 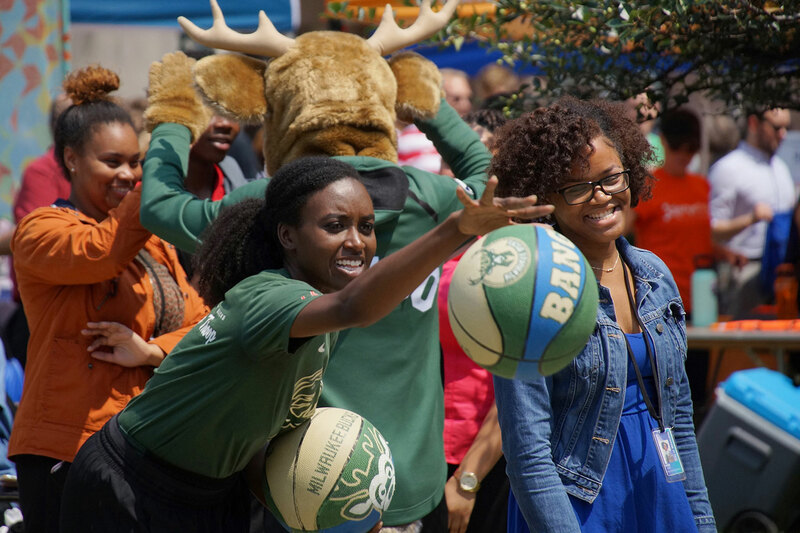 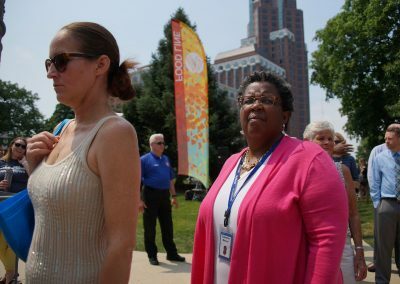 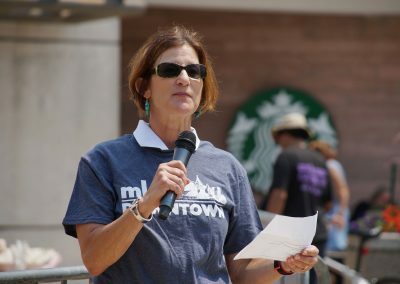 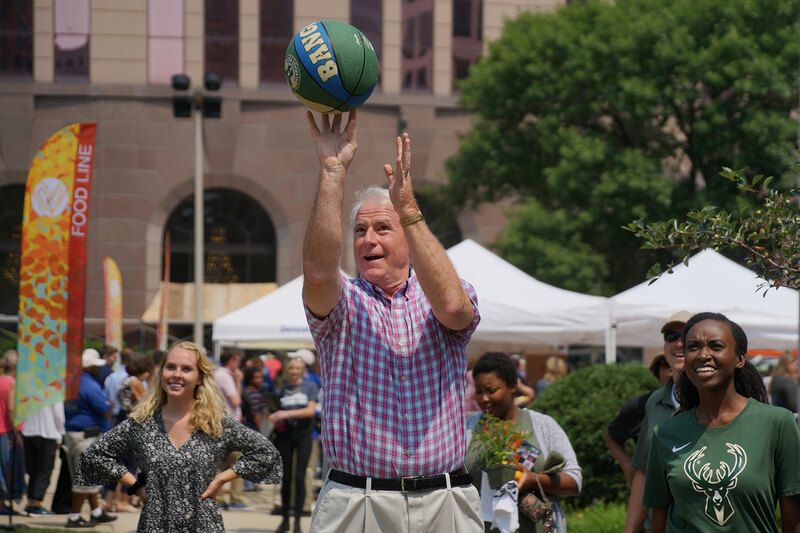 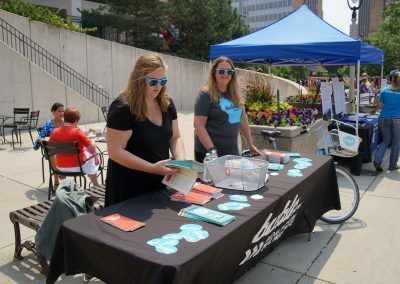 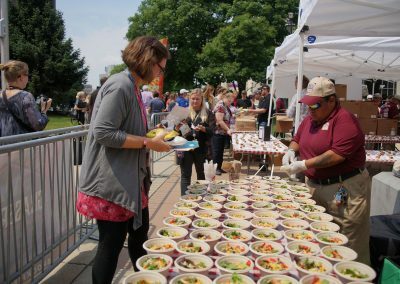 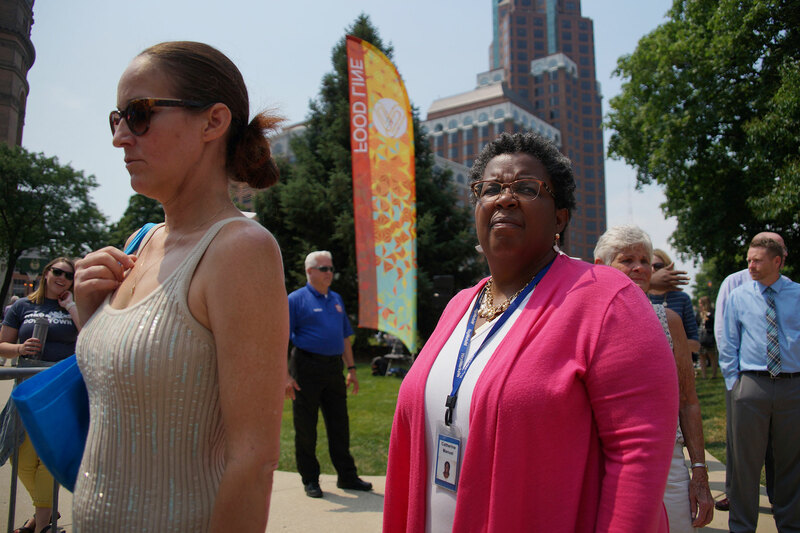 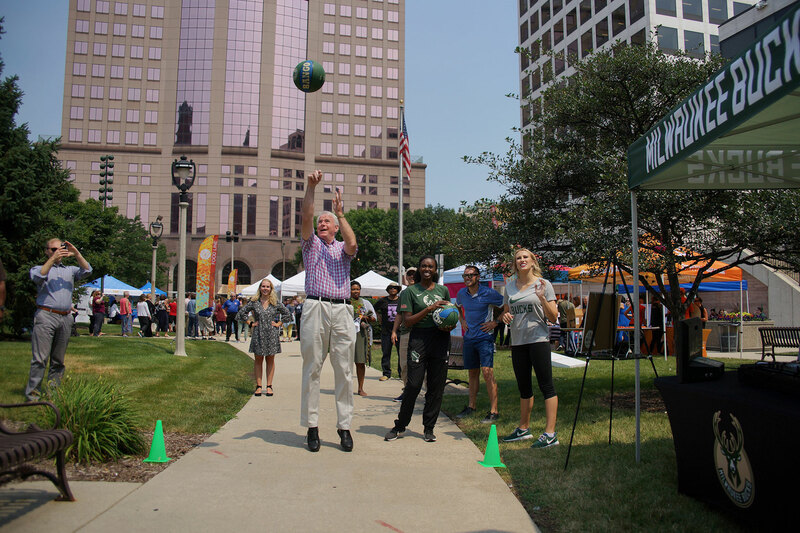 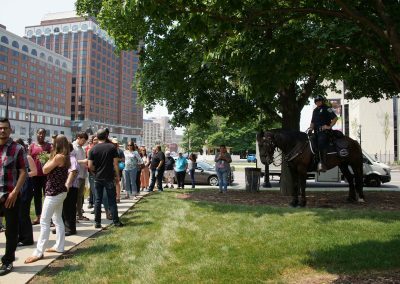 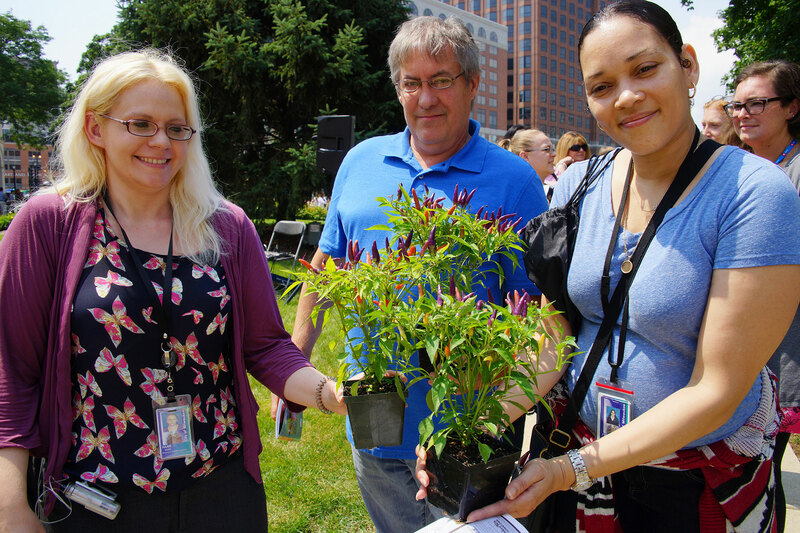 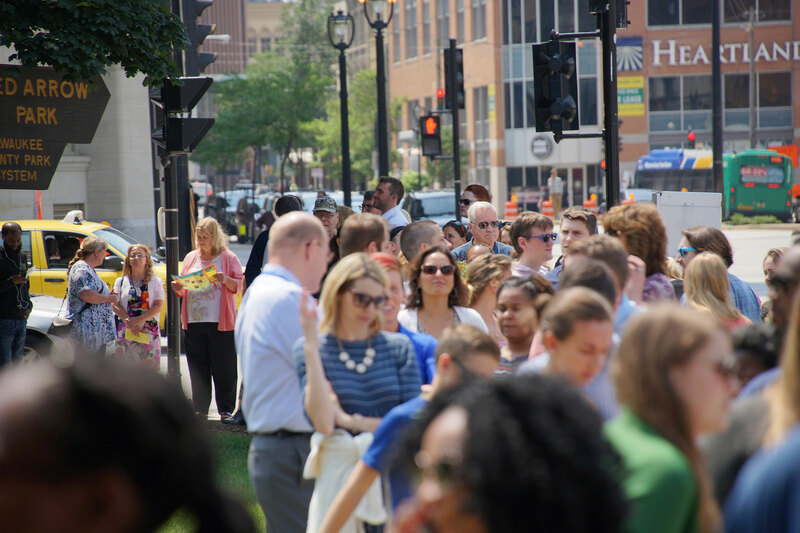 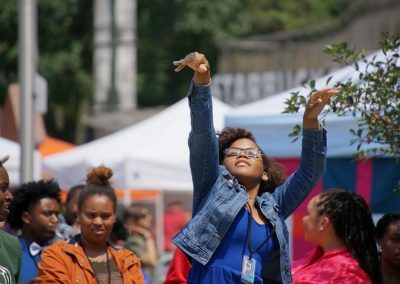 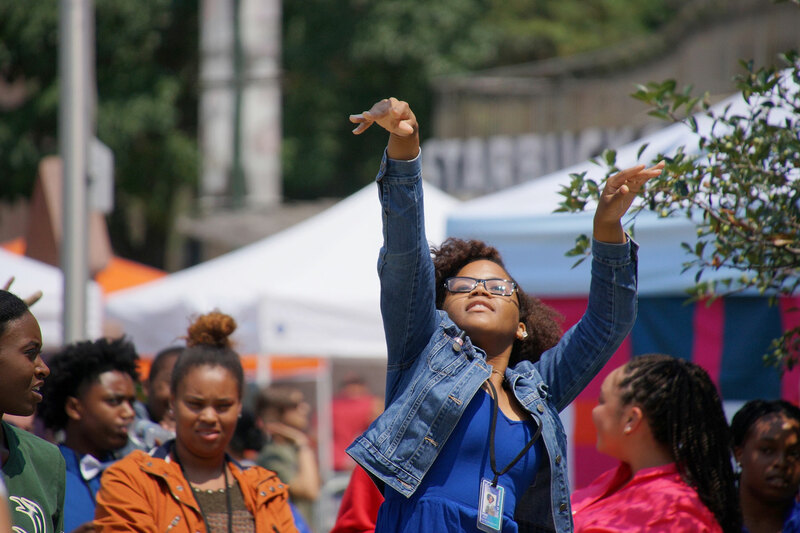 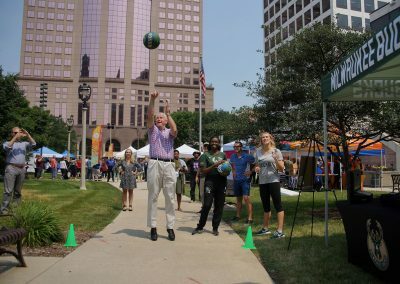 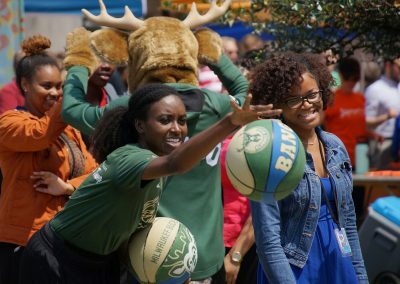 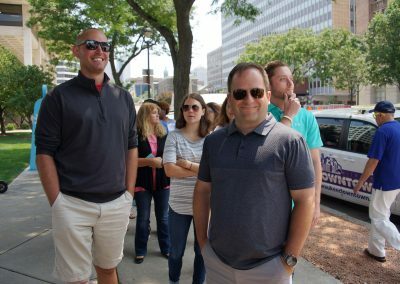 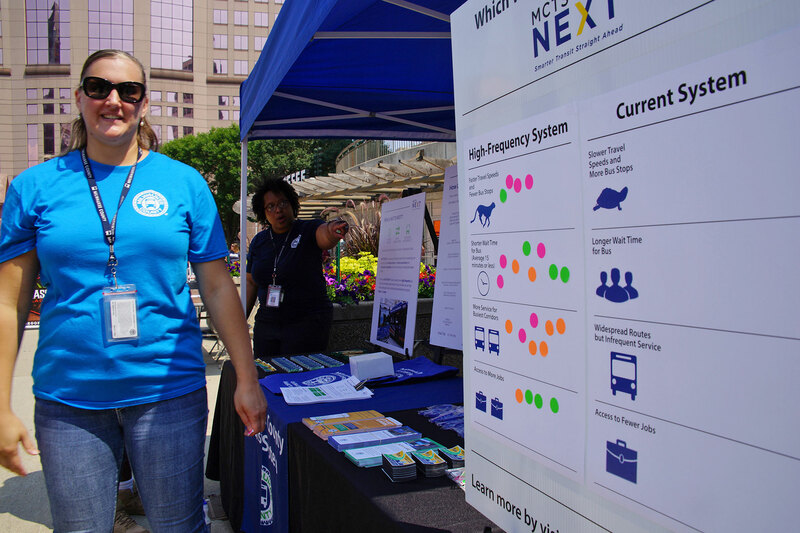 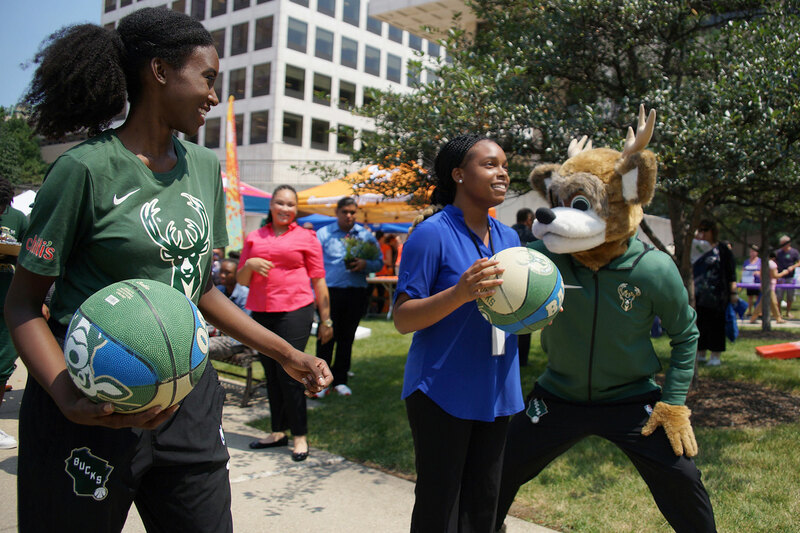 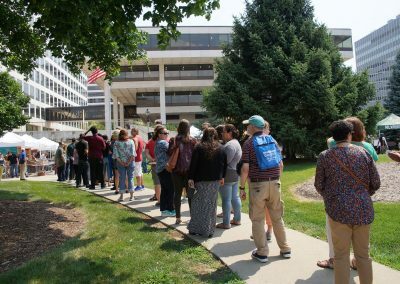 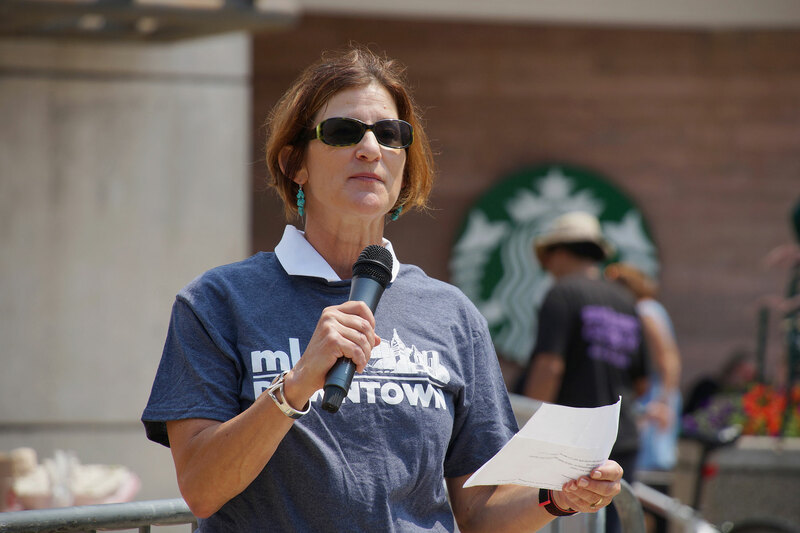 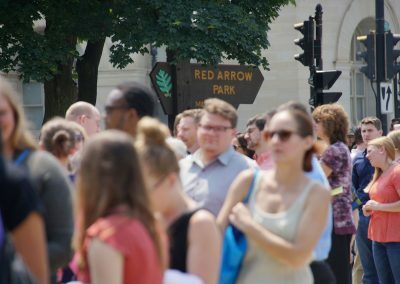 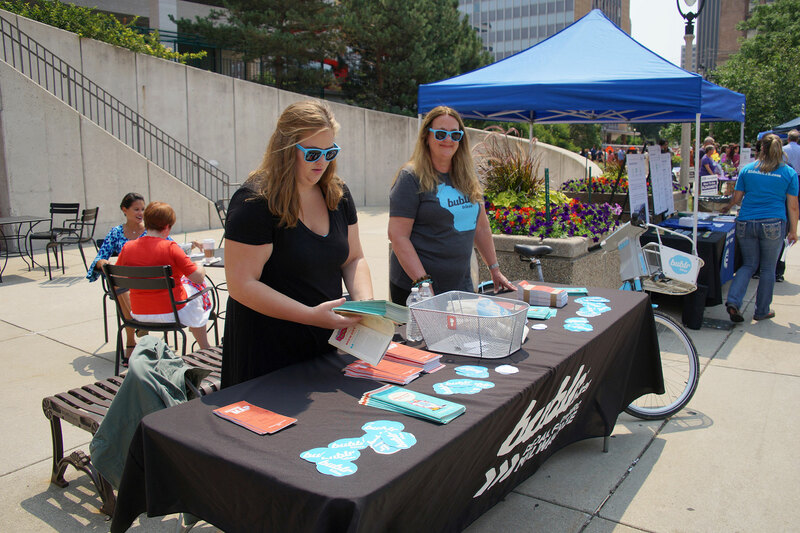 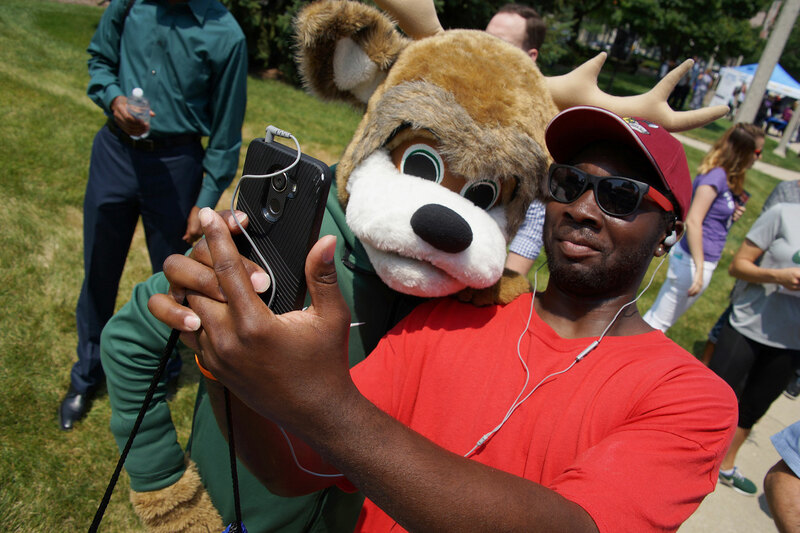 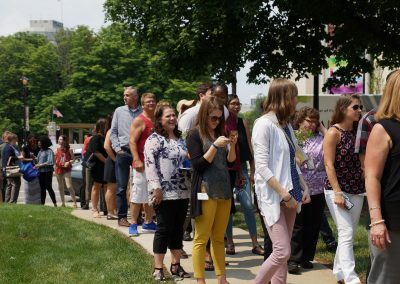 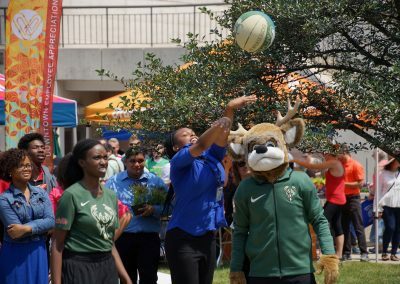 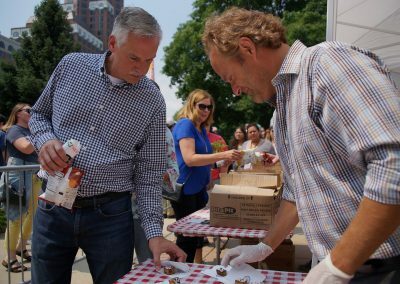 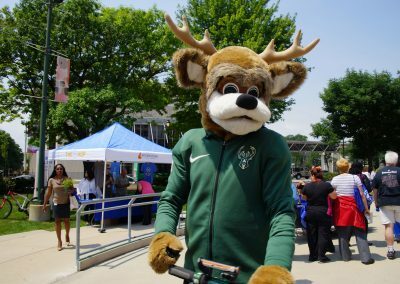 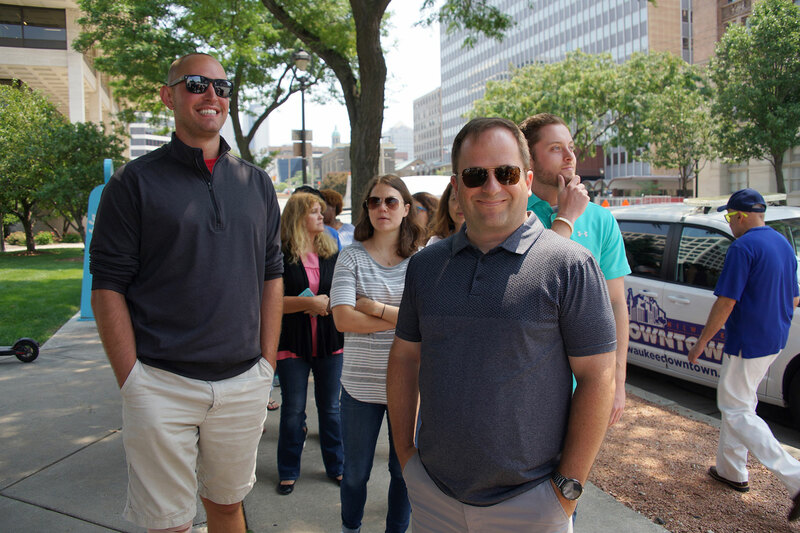 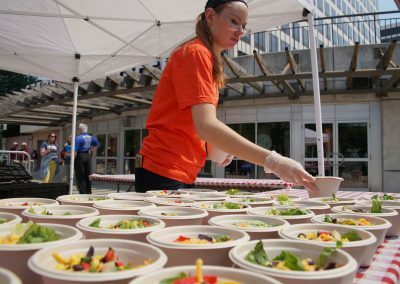 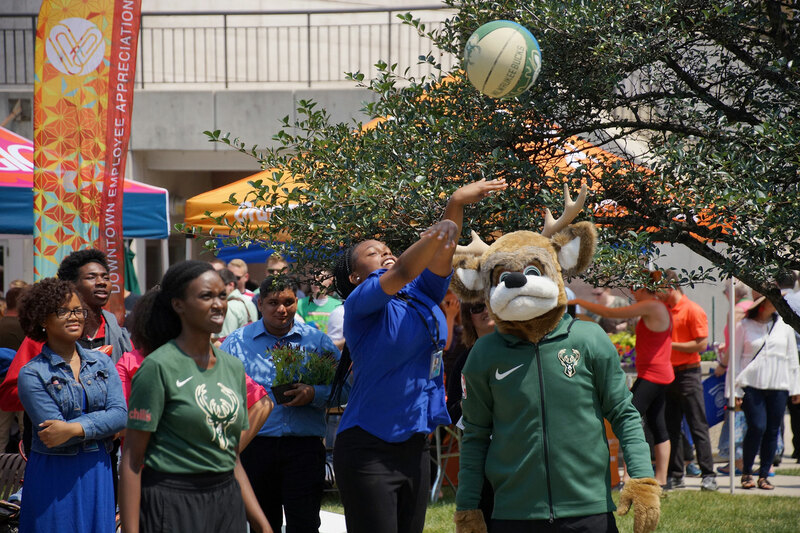 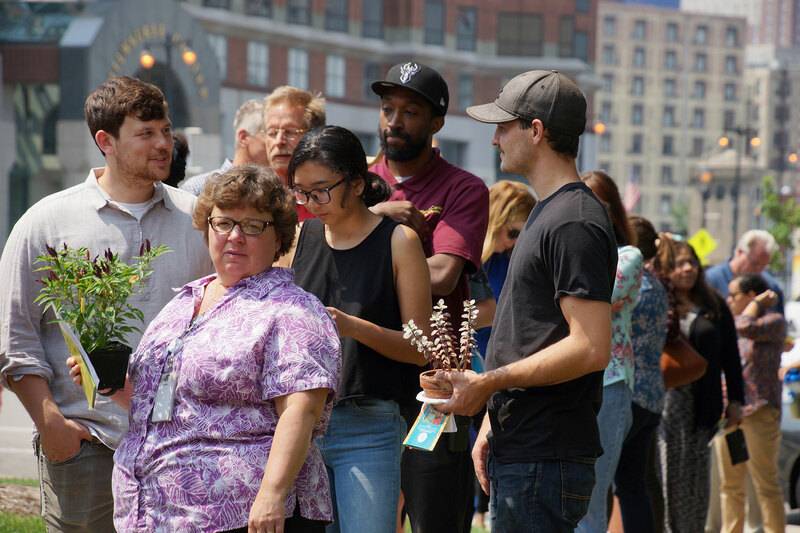 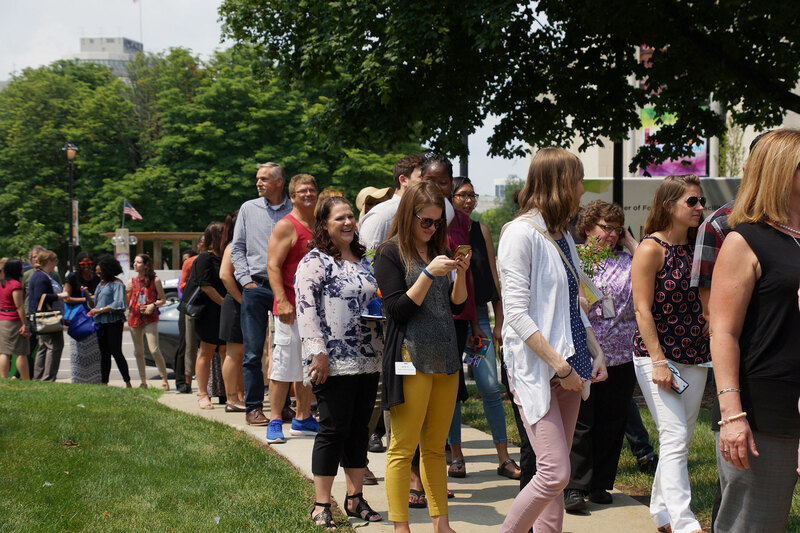 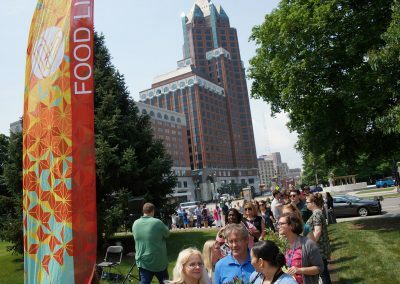 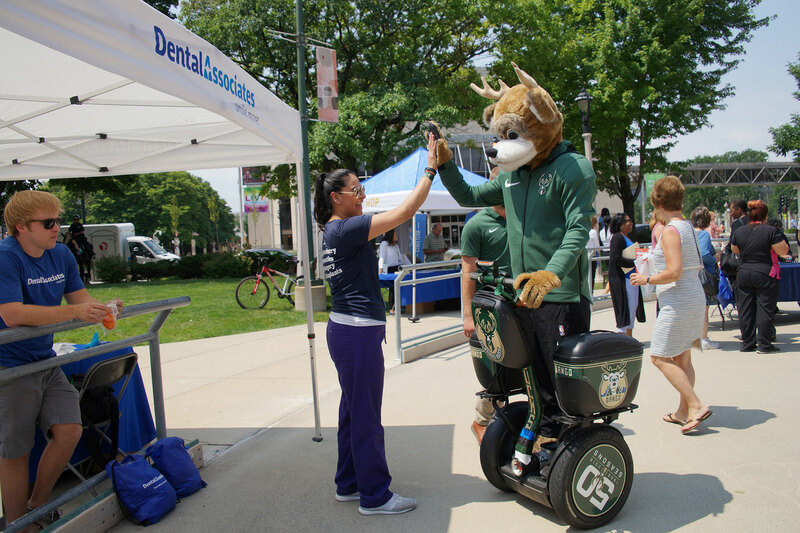 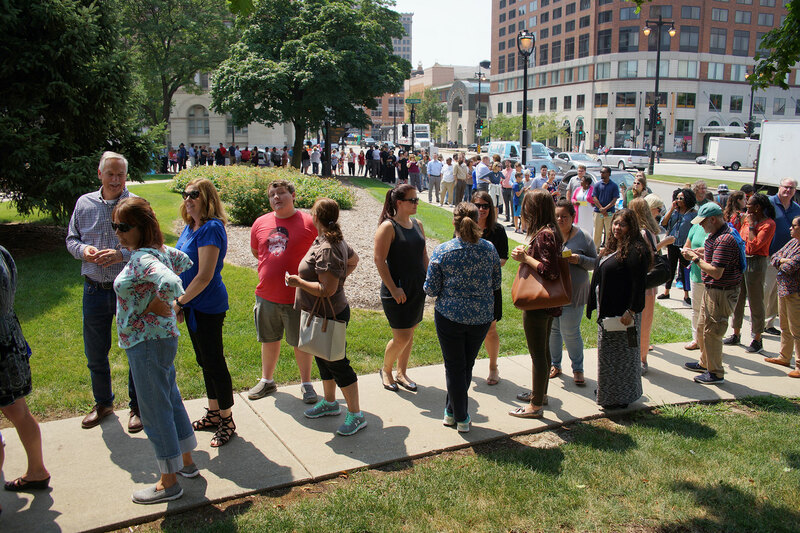 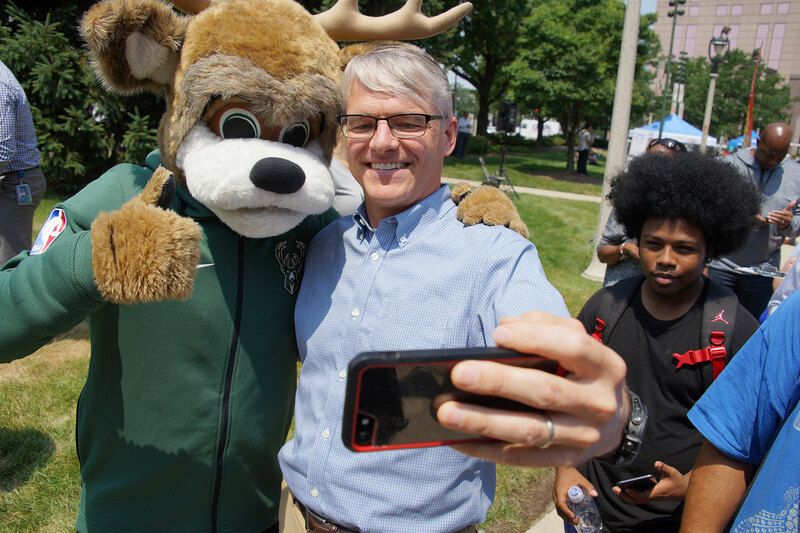 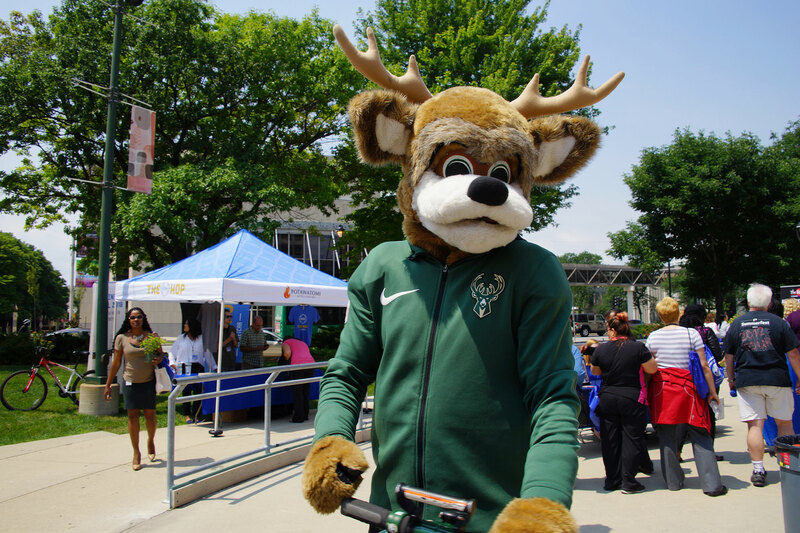 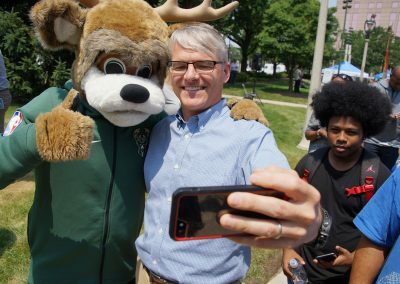 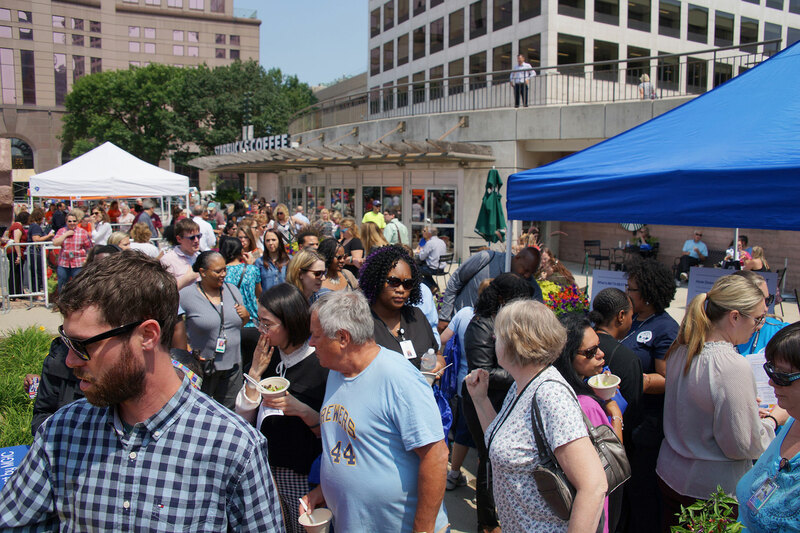 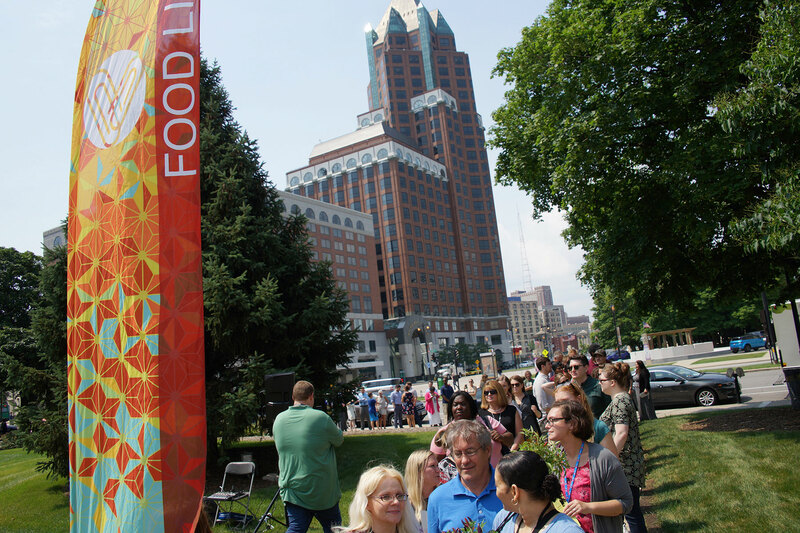 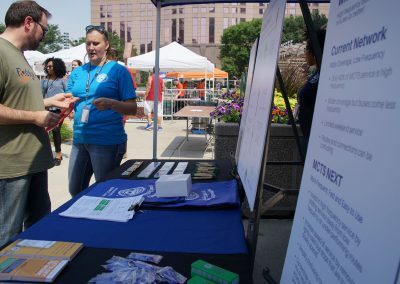 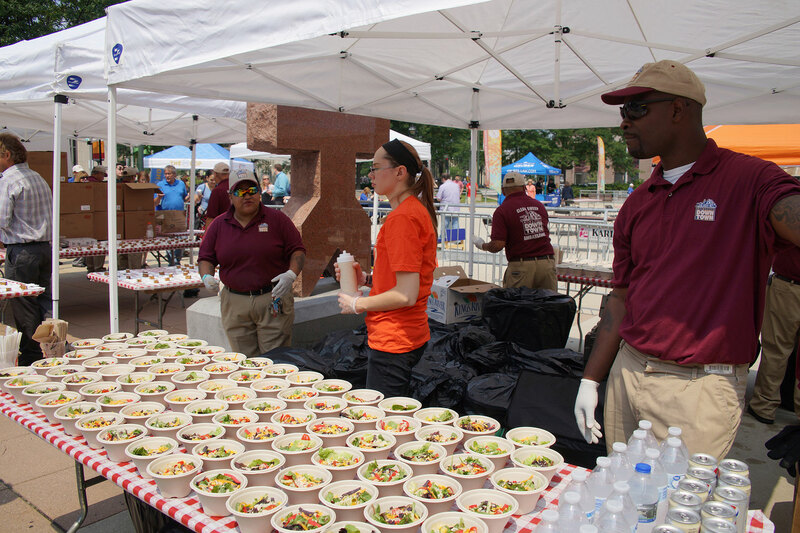 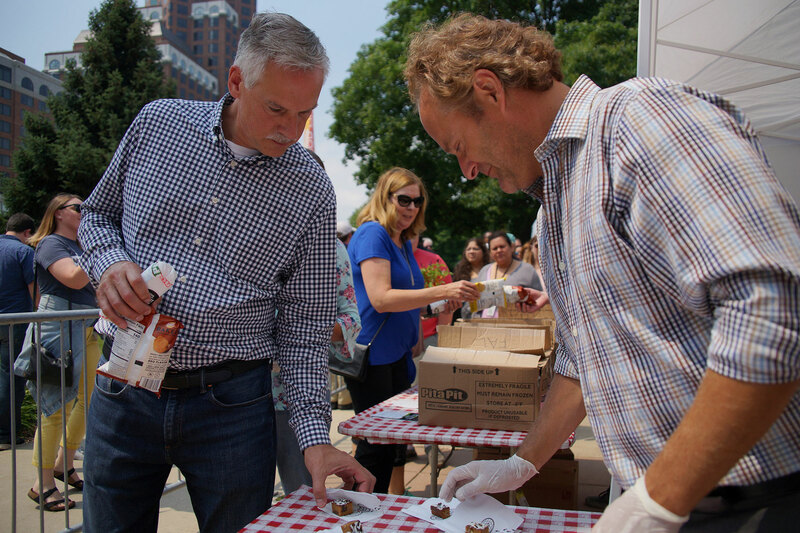 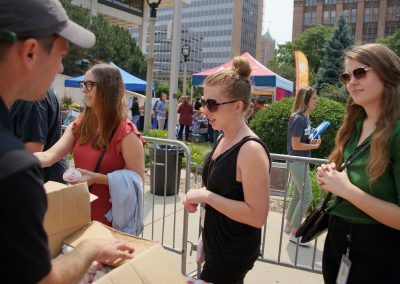 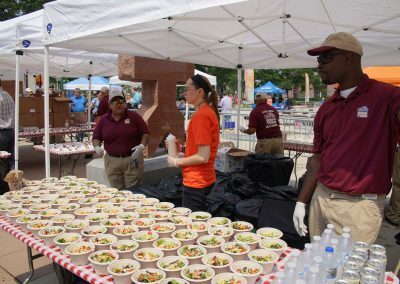 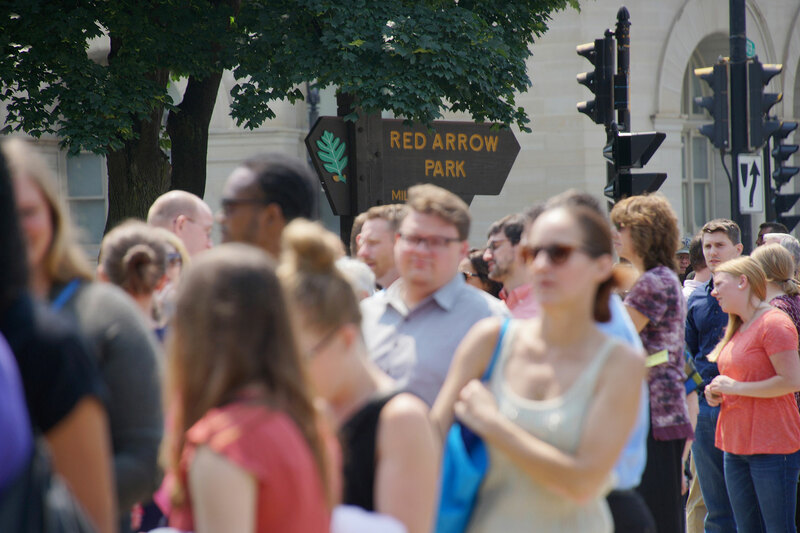 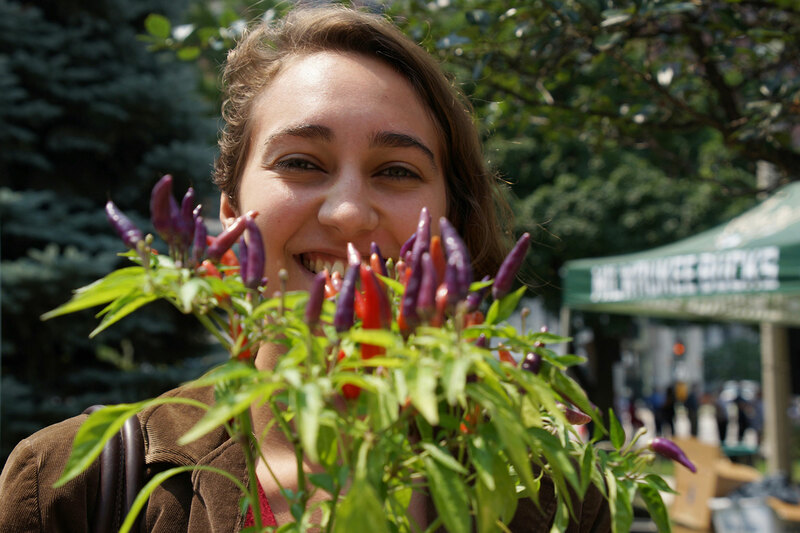 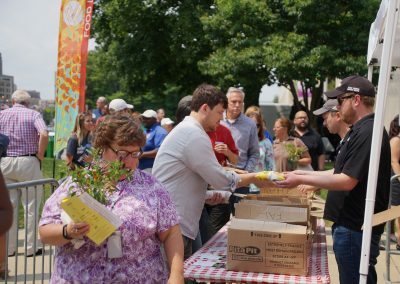 The Milwaukee Downtown BID #21 kicked off the 13th annual Downtown Employee Appreciation Week on July 23, with activities that recognize the heart of the city as a welcoming place to live, work, and visit. 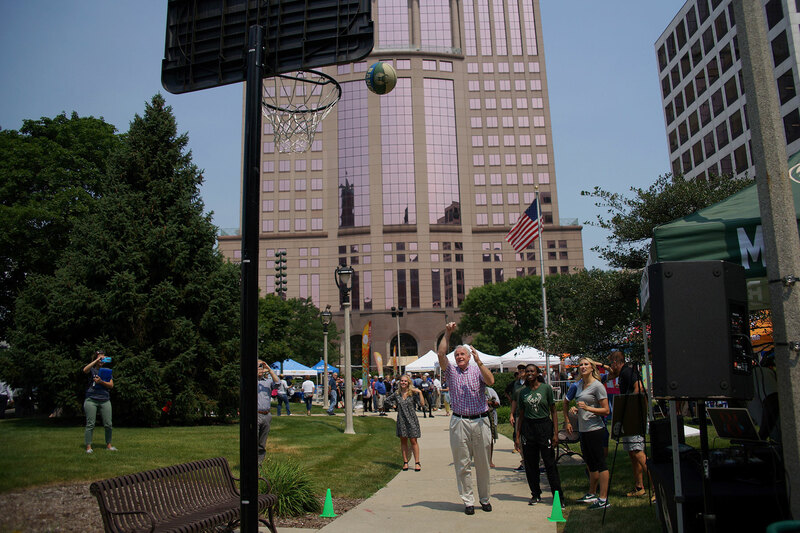 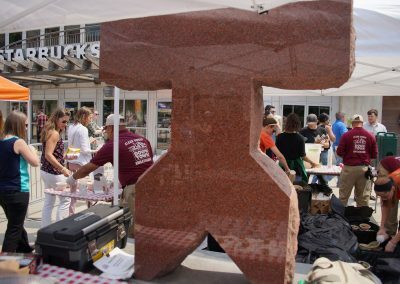 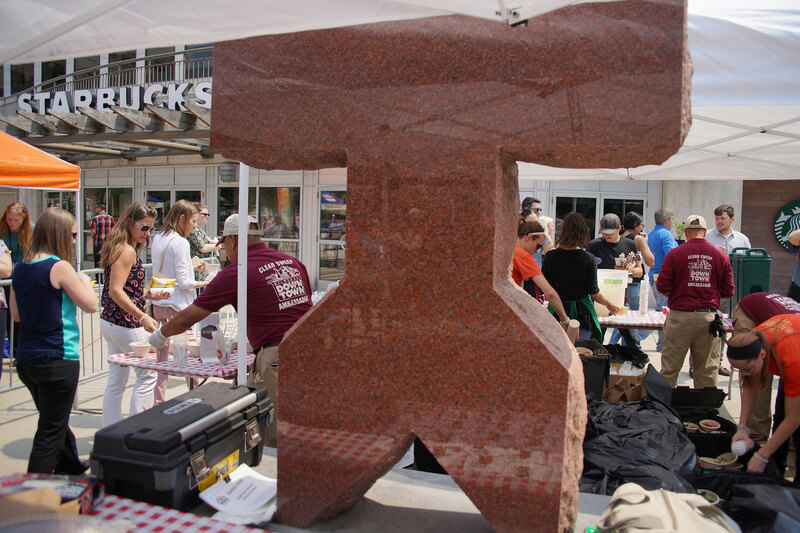 The weeklong celebration rewards downtown’s 83,490+ employees with outdoor entertainment, games, and free lunches, as well as after-hours events, team trivia, giveaways and more. 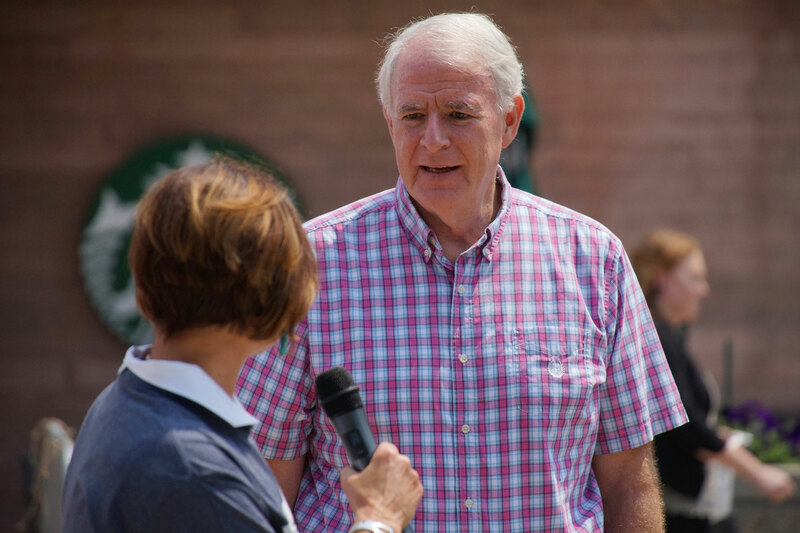 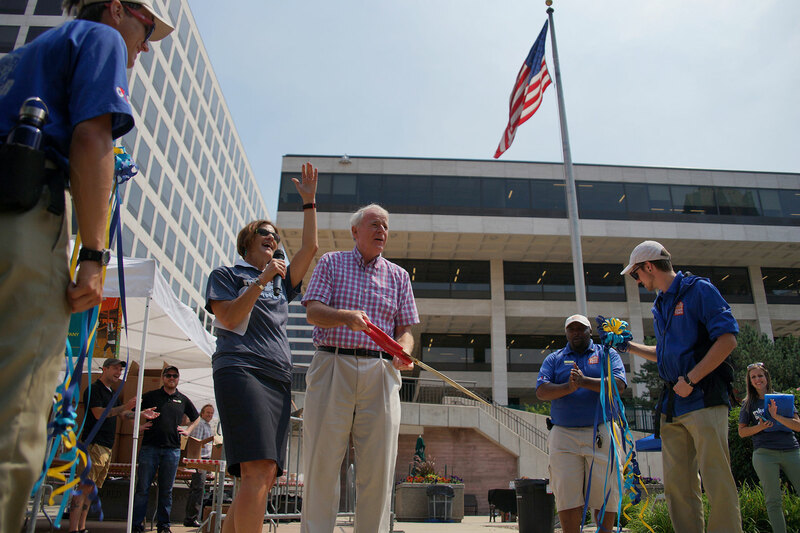 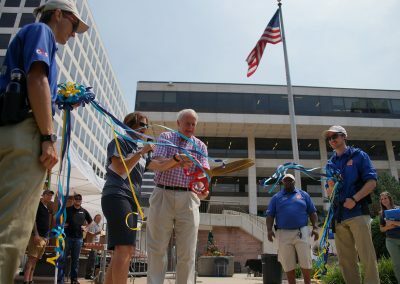 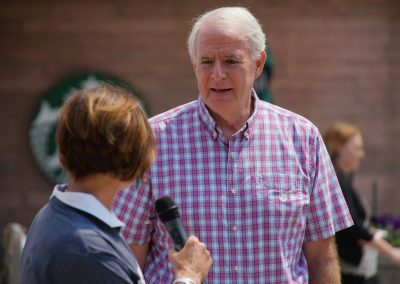 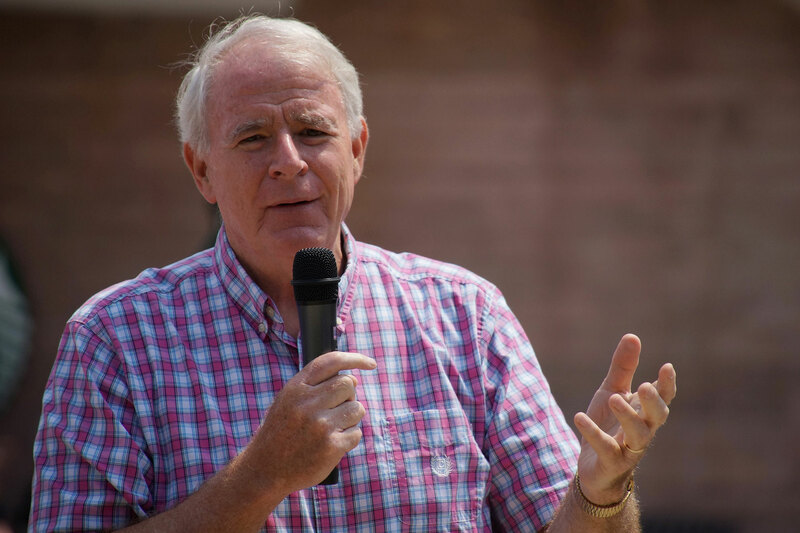 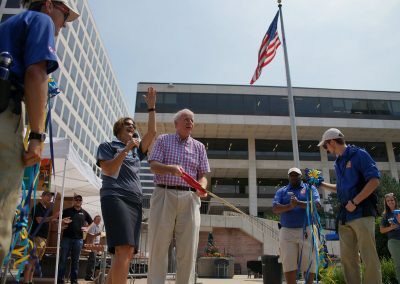 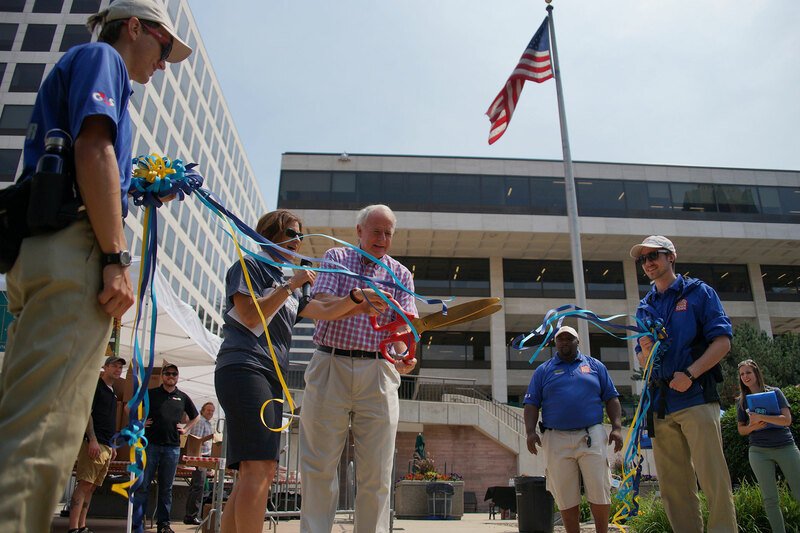 Mayor Tom Barrett started the week of festivities with a ribbon-cutting ceremony at Red Arrow Park. 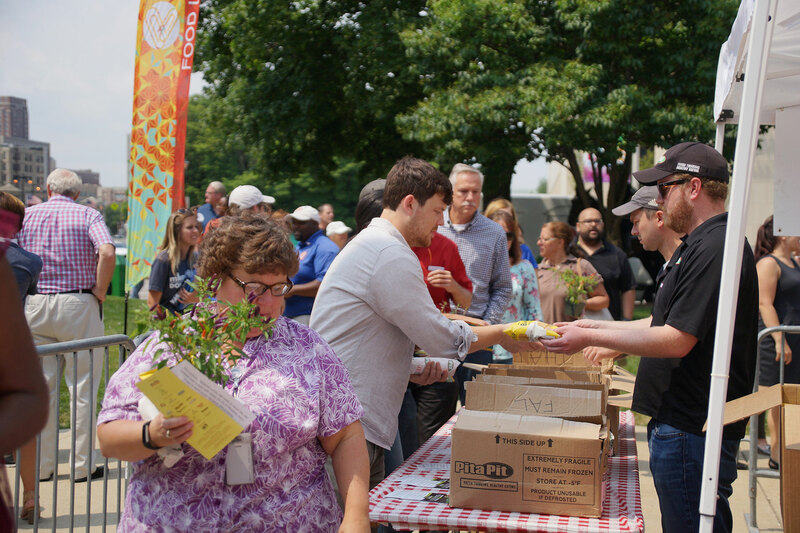 Highlights from the first day of events included live music and lunch for one thousand employees. 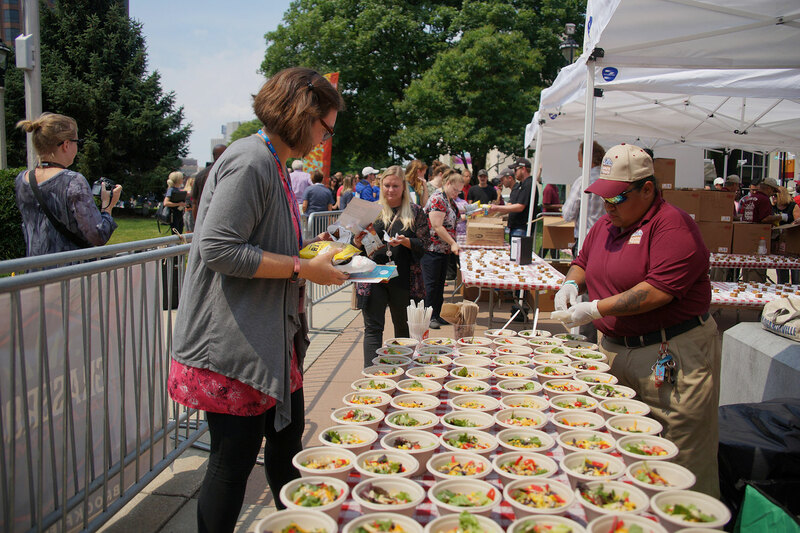 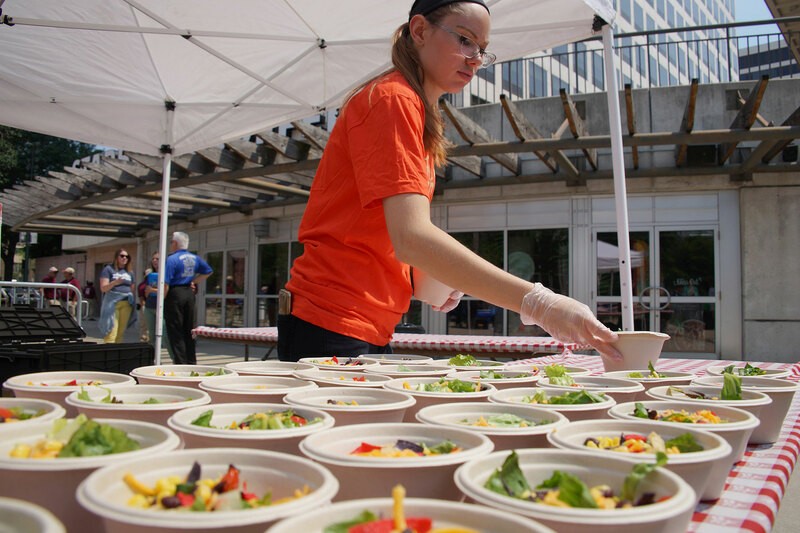 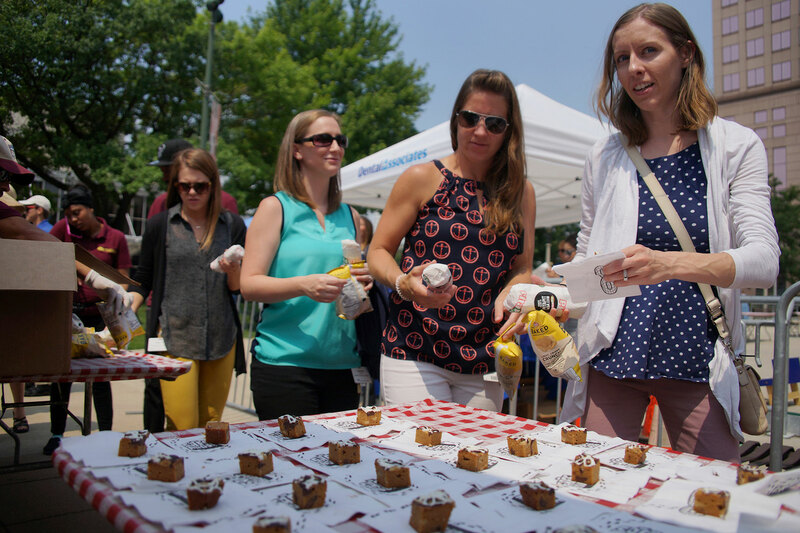 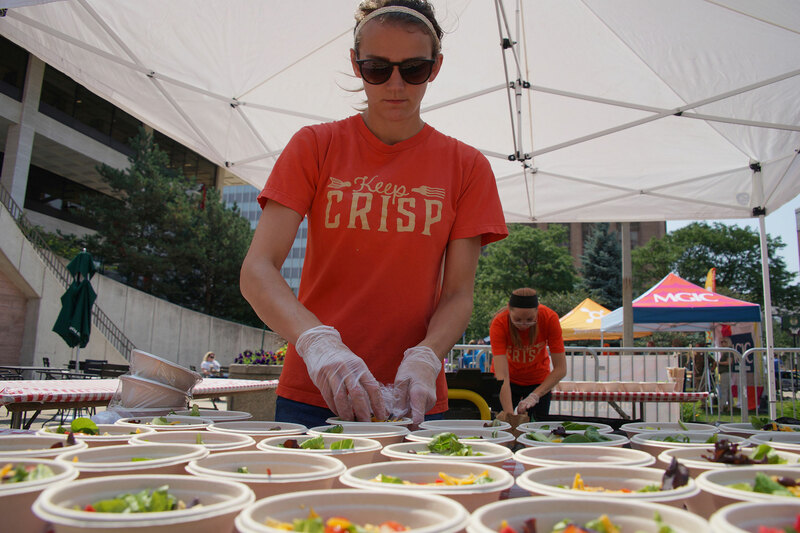 Throughout the week, lunchtime giveaways travel to various downtown locations and include 1,000-item treats, ranging from mini pitas and brats to pretzels, brownies, and smoothies. 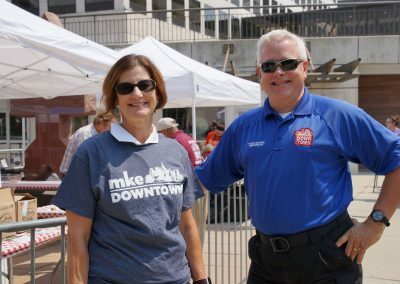 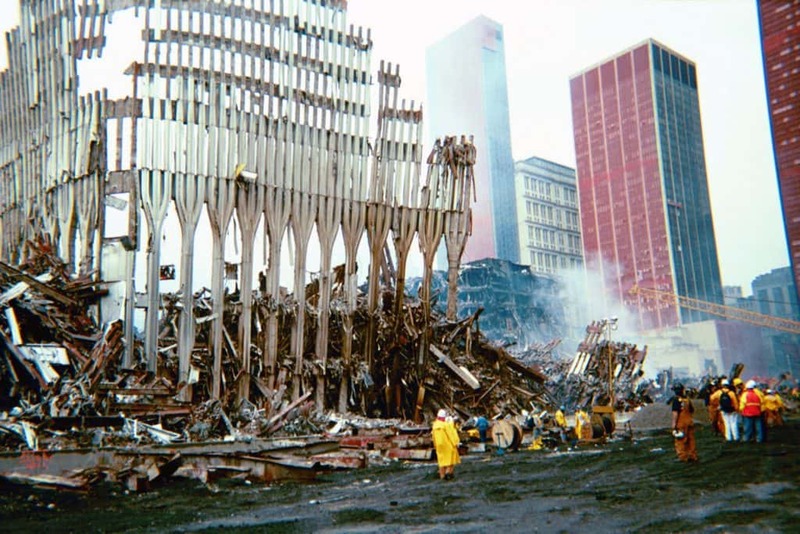 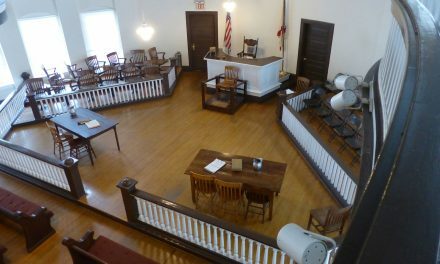 Downtown businesses also recognized employees by offering special discounts on products or services. 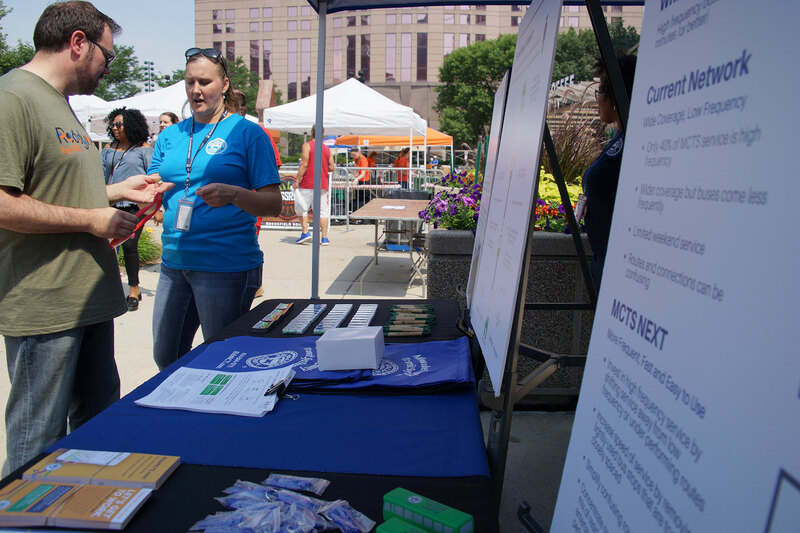 Employees are encouraged to sport a paperclip to identify themselves as a downtown worker. 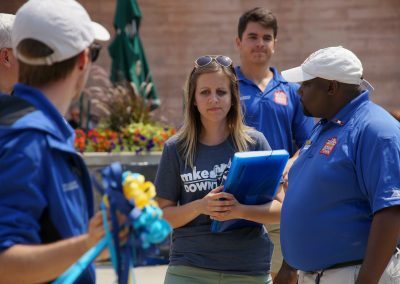 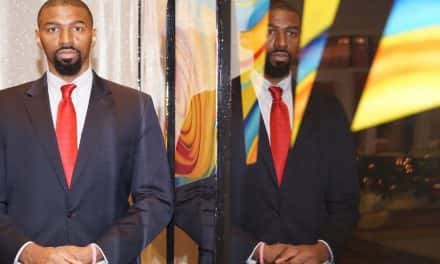 This year, organization are honoeinf five greeters, guardians and gatekeepers for their contributions to the downtown workforce. 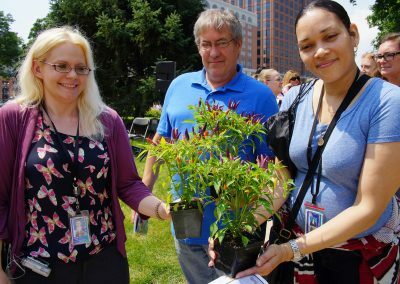 Downtown Employee Appreciation Week will conclude with a closing ceremony on July 27 in Cathedral Square Park.